I love you. I love you more and more with each product that I try. From your breads to your pies to your amazing donuts, you continue to keep me coming back, order after order, no matter the cost. You are that good. And I love you that much. But…you really outdid yourself with the ready-to-use Gluten-Free All Purpose Dough. Because of you…I could have a calzone for dinner again. 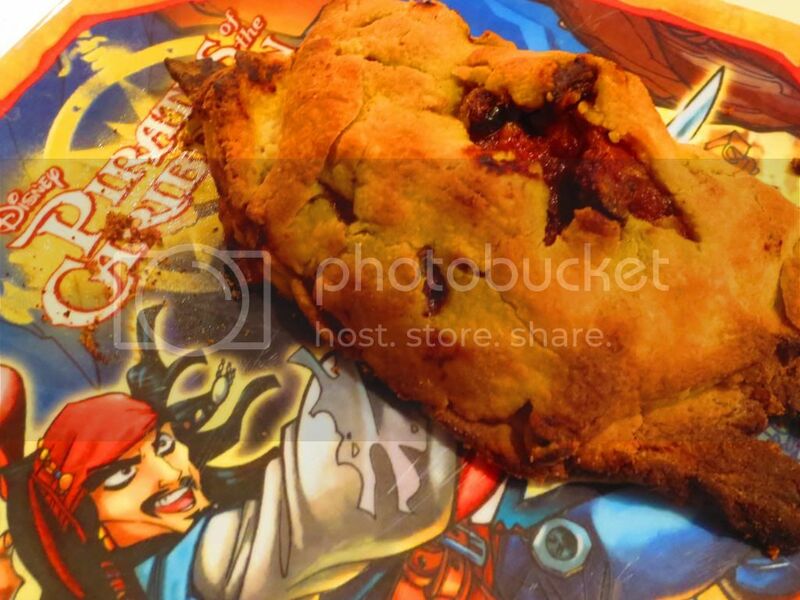 Because of you…I can make my own delicious pies…without the hassle of making my own crust. Because of you…the gluten-free community continues to get quality food products. Ones that I will continue to purchase…not just for myself but others. Add the All Purpose Dough to my list. Ease! That’s the best part of this product. It not only is peace of mind, but it’s so simple. Thaw out dough. Use. No hassles. No wondering if your own gluten-free concoction will cook up right. This worked. And it worked beautifully. I’ve been wanting calzones for a long while now. For real. And with a plethora of vegetables that needed to be used up before the next CSA bin arrived, well, I figured I’d see how the dough would hold up to a little of my craving and baking magic. I had this thought in my head that involved this dough, some squash, some crimini mushrooms, and some shallots. I sauteed them up in a pan and added some marinara sauce as well. All I needed now was the casing for the calzone. Enter Katz Gluten Free All Purpose Dough. I removed it from my freezer two days before. The evening I was making the calzones, I cut out two very small pieces of dough, as it says it serves 8 and a serving size is only 2 ounces. So…this was going to be a challenge. But, I was up for it. Using a rolling pin, I attempted to shape the dough into a large circle that wouldn’t break open when I added the filling and moved it to the baking sheet. The first couple times, the dough was rolled too thin, so I knew these would be relatively small calzones. I didn’t care. I rolled out two very asymmetrical circles and piled in the filling on one half. I carefully folded over the other half and did my best to crimp the small serving shut. Sure, I could have used more dough, but I am so careful about serving sizes. I stick to them. I think next time I’ll throw caution in the wind and just add a little more. But…I wanted to do it my way this time. Into the oven the dough went…and when about 20 minutes passed, I opened up the oven and it was this gorgeous golden brown and the filling was sizzling (and peaking out of some holes in my dough). Everything was ready. Dinner was served. And gluten-free calzones were on the menu. One bite…and I was hooked. At first, it sort of reminded me of the crust of a potpie. Golden and flaky and it sort of had that same texture and flavor. But when you got a piece with the filling in it…magic. Simple food magic. The crust didn’t get soggy and held up to the marinara/vegetable mixture that I stuffed (and I mean literally stuffed) inside. It was gluten-free and vegetarian food magic. And it was made possible and easy because I took a chance with a new Katz product. So easy. So delicious. I can’t wait to use it in other ways. Katz Gluten Free Web site says the crust is perfect for pies, turnovers, knishes, or any other pasty imaginable. It’s the go-to solution. It’s what I (and other gluten-free foodies) need in their lives! FOR REAL! 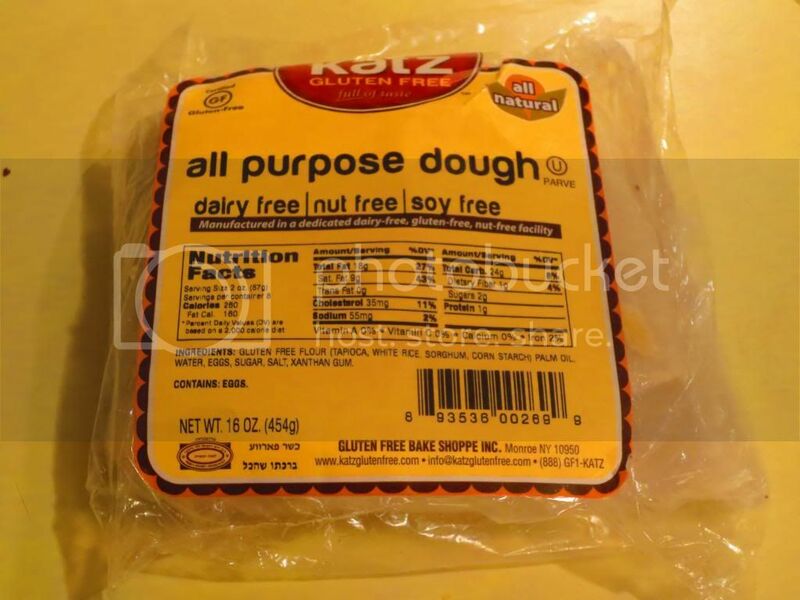 Katz Gluten Free All Purpose Dough is made from their own blend of gluten-free flour (which includes tapioca flour, white rice flour, sorghum flour, and corn flour), palm oil, water, eggs, sugar, salt, and xanthan gum. Not a bad list of ingredients at all. And that flour blend is pure magic. Pure gluten-free food magic. As for nutrition…there is a reason I stuck to the serving size. A serving size is 2 ounces. This serving (which is a small rectangle of the dough), will provide you with 260 calories and 18 grams of fat. See why I wanted to stick to the serving size? This serving also will give you 55 mg sodium and 2 grams of sugar. Sadly, this dough does serve up about 9 grams of saturated fat and 35 mg cholesterol in each serving. Another good reason to stick to the meager 2 ounce recommendation. This dough also will give you 1 gram of fiber and 1 gram of protein. So do not expect this dough to fill you up and leave you feeling full. It won’t work that way. But…that being said…it toasted up beautifully in calzone form on my pizza stone and made one delicious meal for me and my roommate. We have 3 more servings each of this dough to use and I intend to see how many various ways I can use it. I might attempt perogies next. Yes, my dearest Katz Gluten Free…I do love you and your products. You just make my life happy, full, and delicious again. This All Purpose Dough will be something I’ll definitely consider using more of in the future. Simple. And delicious. This entry was posted in Baked Goods, Clean Eating, Dough, Entree, Food, Frozen, Gluten-Free, Italian, Mushrooms, Products, Review, Sauce, Vegetarian by The Celiathlete. Bookmark the permalink. Sounds fantastic! I will add that to the list of foods to try!